An open sided shelter with a wooden floor. 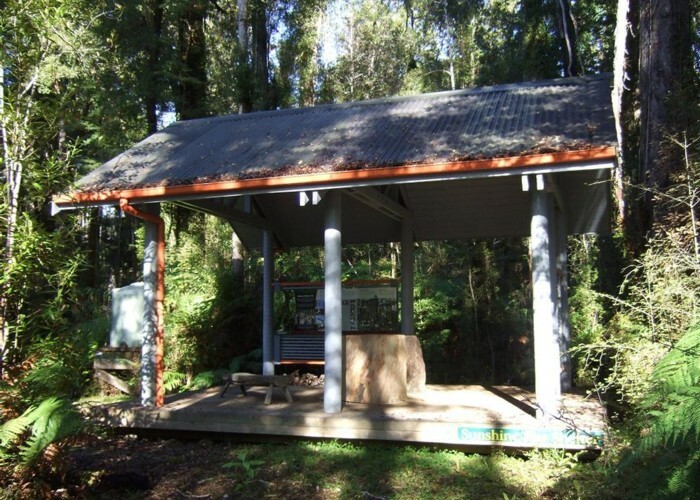 It is located just off the Oparara Valley Track, Northern Buller, West Coast and was once the camping area of the track builders. The Valley Track links the historic Fenian Track with the Moiria Gate - Mirror Tarn Loop Track which starts and finishes at the Oparara Arch carpark and shelters. There is very impressive mixed Podocarp/Beech forest in this area and good bird life. Sunshine Flat Shelter May 2015 • By glennj. Licence: C.
From the Oparara Arch, Mirror Tarn - Moiria Gate carpark or the Fenian Track carpark. Added 31 May 2015 by glennjglennj. No revisions.